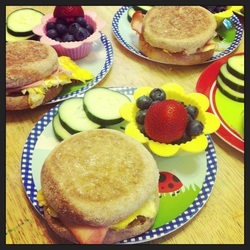 The Strawberry Patch serves healthy, yummy, and organic snacks to children each morning and afternoon. 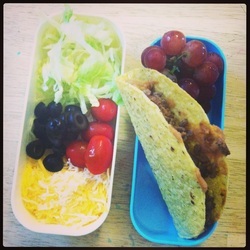 A lot of thought and effort is put into providing kids with colorful, tasty, and healthy food! Food preferences of children are definitely taken into account at The Strawberry Patch. Every parent fills out a form about food allergies, likes, and dislikes upon enrollment, and Jeanine uses that information to plan snacks that meet USDA standards. You are always welcome to send your child with a snack from home if you wish. 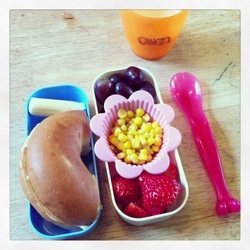 Bagel w/cream cheese, string cheese, grapes/strawberries, and corn! 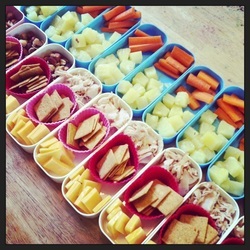 Homemade "lunchables": wheat crackers, cheese slices, turkey slices (nuts for our vegetarians), carrots, and pineapple! 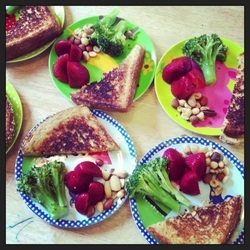 Grilled cheese, local broccoli, mixed nuts, and strawberries! 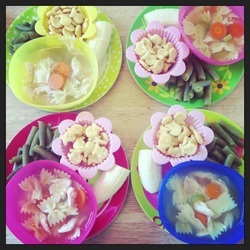 Homemade chicken noodle (or veggie noodle) soup, soup crackers, green beans, and bananas! 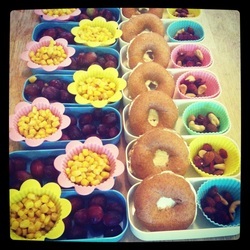 Bagel, trail-mix, grapes, and corn! 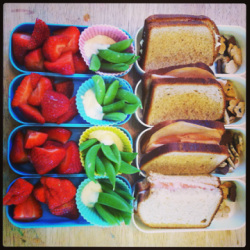 Home-made breakfast sandwiches (with egg, cheese and ham), blueberries/strawberries, and sliced cucumber!